I have to say... The national Haiti carnival being held in a different department every year will help Haitians to get to know their own country. Because of Kanaval 2012, I visited the city Les Cayes for the first time... what a discovery it was! Because of Kanaval 2013, I will be visiting the city of Cap-Haitien for the first time in my life! 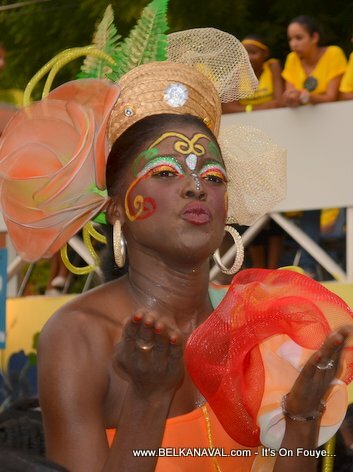 What do you think about Kanaval 2013 in Cap Haitien? Haiti needs a dictator that can rule the country we needs military to protect the country and we need to educate the people i dont think it is a good idea to have Canarval in Haiti cause a lot peolple are suffering. It is a shame that some of us have no way to be positive about our own country. You just sent a reply where there is no punctuation and no way to understand exactly what you are saying. Everybody think it is a good idea about the carnaval in Cap haitian except you with your stupid comment. I think it's a great idea for us to get to know the best of our country and mingled a little out of Port au Prince. We know that the best of Haiti is mainly outside out its capital.